USDCAD is under the influence of Oil summit in Qatar, US unemployment rate and Manufacturing report in the US. The pair started today with bullish bias but there is a slight chance that it crosses the descendant channel’s roof. 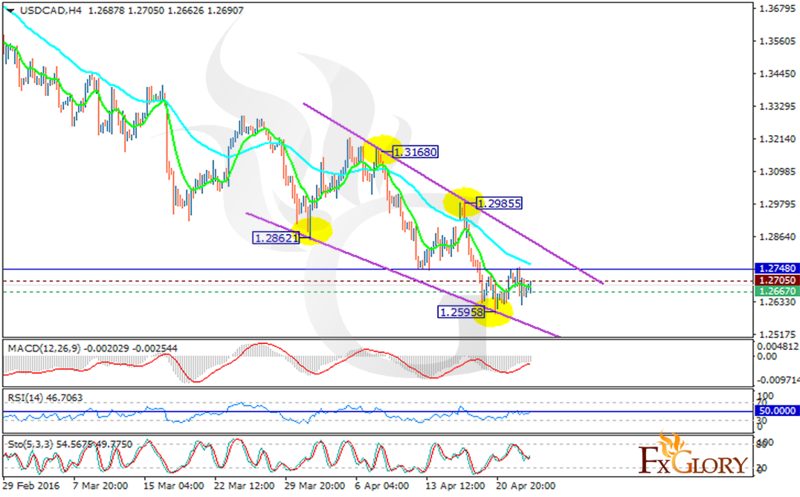 The support lies at 1.26670 with resistance at 1.27050 which both lines are below the weekly pivot point at 1.27480. The MACD indicator is still in negative territory showing the price falling tendency and the RSI is getting close to the 50 level. The Stochastic is in neutral zone for the moment. As shown in the indicators, there is no confirmed signal for traders to decide on their positions. It’s recommended to wait for a better chart pattern.